More than 400 years ago in the play Romeo and Juliet, William Shakespeare famously posed the question, “What’s in a name?” and tries to prove that name and reputation should be meaningless. While such a sentiment is appropriate for romance, research has clearly shown this is not the case with consumers. For businesses, the value of brand recognition can’t be understated. In many ways, names and brands are the most valuable thing a company has. This post will examine some of the reasons why organizations need to make increasing brand awareness one of the main goals of their internet marketing campaign. The value of a memorable name for brand recognition is clear from the way that people speak. For companies that first create a market or become the first to dominate it, the brand name can be synonymous with the generic product itself. Most people use the brand name Band Aid, whenever they need an ‘adhesive bandage strip’ or Frisbee for a ‘toy flying saucer, usually made of plastic, that is used for toss games’. This is more than just interesting trivia. When a person is given a shopping list that says “Band Aids” or a kid tells a relative they want a “Frisbee” they are far more likely to buy that brand name than a generic equivalent. Similarly, a brand name can drastically change the meaning of sentence. To a child, “Let’s go get a burger” and “Let’s go to McDonald’s” are too completely different things. Research has suggested that many brand loyalties start when consumers are children. In one UK study of children between six and 11 years old, the respondents correctly identified 90 percent of the logos associated with foods and drinks as well as international products like Apple and Adidas. The knowledge of the brand also affected their perception of other qualities. As any parent could attest to, the children claimed that store-branded versions of products weren’t as good as the brand names. “They don’t have the proper recipe and make it disgusting,” said one of the children in the study. The power of brand names is so important that it surpasses rational thought. In the UK study one child commented, “They do Frosted Flakes instead of Frosties, but they’re not as good.” Unbeknownst to the child, Frosted Flakes is just one of the international names of Frosties. So the child thought the exact same product tasted different on the basis of name alone (presumably, the child wasn’t shown the box art since they both have the same mascot). 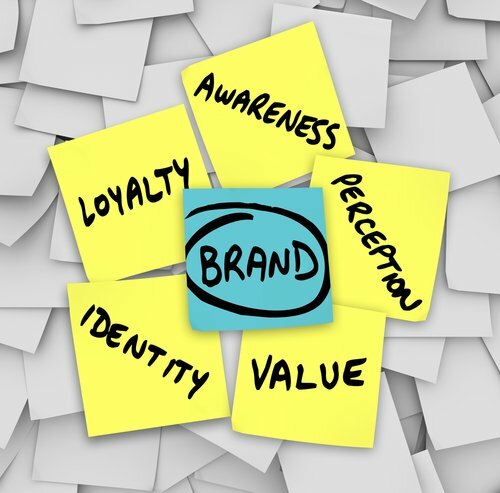 In many ways, brand recognition is the only sustainable competitive advantage. Technological advantages will be improved upon by others, as will advantages in distribution and marketing. But brand name is something that can’t be duplicated. According to Aswath Damodaran, 80 percent of Coca-Cola’s value is in its century-old brand name. He cites a comparison of the top five brand names in 1925 and the top five brand names 2000 showed three companies had managed to stay on top for 75 years. The only competitive advantage that lasts that long is brand recognition. What all of these examples show is that there is a value in brand. At its height, a brand can become so valuable that people are willing to pay more for the brand name. But long before that point, there are other reasons for encouraging brand recognition. When presented with two options, consumers will gravitate toward the one they heard of before in the absence of any other factors. And rather than charge more for a brand name, a company can establish itself as the low-cost alternative for usually expensive items. The importance of brand names has been known for decades, but in the 21st Century, the time has come to move beyond promotional keychains and pens (though these are still good tactics to use in a comprehenisive marketing strategy for a local business). The value of brand recognition is one of the reasons why business owners need to embrace social media as part of their internet marketing strategy. People research companies on social media, so having a page with up-to-date content is important. In fact, 66 percent of teens and young adults will look up a business if they see their friends have checked in or liked the business. There are many ways that businesses can use internet marketing to increase brand awareness. Make sure your marketing team is taking advantage of every option they have to keep a company’s name fresh in the mind of potential consumers. The research on the subject is clear. “What’s in a name?”….Everything. Sorry, Shakespeare.